Applications are now being accepted for the annual Operation Purple® summer camp programs around the country! What are Operation Purple summer camps? They are free, one-week camps open exclusively to military children, with priority given to children whose parents are in a deployment phase. 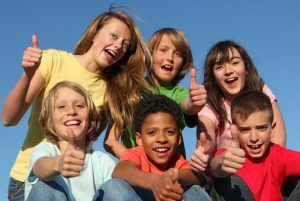 These unique residential camps give the children an opportunity to enjoy traditional camp activities – like swimming, ropes courses, and campfires — while learning coping techniques and stress management skills in a “purple” environment. Campers have fun and memorable experiences connecting with the outdoors and interacting with other children who may be experiencing the same feelings as they are. They celebrate being a military child and are encouraged to talk about their military parent. Since the camp’s formation by the National Military Family Association 10 years ago, over 47,000 children have participated in Operation Purple camps. Currently there are 14 camp locations around the country.